Many companies offer sexual harassment training but there’s limited research to show that the training is working regardless of the industry. In fact, some trainings have been shown to have negative consequences. The Equal Employment Opportunity Commission (EEOC) reports that as many as 75% women have experienced sexual harassment in the workplace, but three out of four cases go unreported. With numbers like that, it’s easy to see how the #MeToo campaign has picked up steam so quickly and so widespread that the EEOC is recommending Consent and Respect Based Communication Skills Training over trainings that focus on legal compliance and company procedures. To quote the EEOC Select Task Force on the Study of Harassment in the Workplace “Workplace “civility training” that does not focus on eliminating unwelcome or offensive behavior …, but rather on promoting respect and civility in the workplace … may offer solutions.” In other words, teaching people specific skills for respect and communication works better than educating them about company policies and legal pitfalls to reduce harassment. At Cuddlist, we believe that consent, communication, and intention must be the focal points of effective trainings. Consent-based and respect-based interventions are actionable, practical, and verifiable. They are skills that can be learned which not only reduce or eliminate harassment but also increase the effectiveness of each employee and team. Wouldn’t you like the time and money you invest in trainings to be effective, not only at reducing harassment but also at increasing performance? Here are two problems and two solutions to help you do just that. Problem 1: Men are feared as creeps. Most men do not want to be creeps yet they don’t always know if they are crossing a line or not. Men receive conflicting messages about what it means to be strong and effective that don’t agree with messages about how to be nice and considerate. It can be really confusing. Solution 1: Applying consent and respect-based communication can help you be both assertive and sensitive. Asking for what you want – rather than demanding, bribing, or threatening – is a key skill in respect based communication. It puts you in a powerful position. Unfortunately, without training and practice in using this skill, most people think asking is weak. Clearing up that misconception is part of an effective training. Problem 2: I could get fired and not even know I was doing anything wrong. This “no tolerance” environment can be scary. 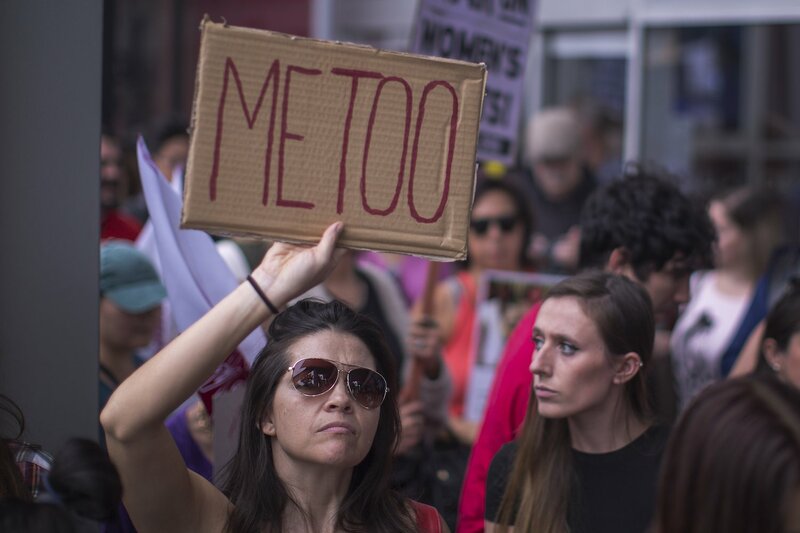 A new normal is emerging as the #MeToo movement gains momentum and what might have been tolerated before is now being called out and prosecuted. It might feel like the ground has shifted underneath you and indeed times are changing. How can you position yourself to be a competent leader and coworker? Solution 2: Learn how to communicate clearly, confidently, and with emotional intelligence. The wonderful thing about learning these skills is that it puts you on the right side of the #MeToo movement without pitting you against anyone else. Stating clear, confident requests and boundaries are ways of communicating that empower everyone rather than blaming victims or harassers. A new paradigm is emerging and you can help shape it. B) Have a session with a Certified Cuddlist Practitioner—learn how to practice asking for what you want, setting boundaries, and respecting the answers. Find Cuddlists in your area. C) Host us for an actionable workshop that allows your employees to learn the valuable skills of consent, communication, respect, and effectiveness. Contact us today to learn more about we can help you be part of creating empowering, respectful workplaces that are good for people and the for bottom line.